Credenhill is a large rural village situated 4.5 miles northwest of Hereford, close to the Welsh border. 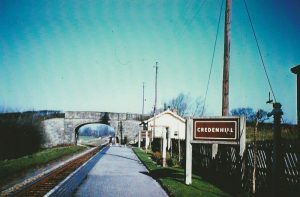 The village nestles at the foot of Credenhill and has a diverse history. There is a very large Iron Age hill fort (occupied circa 750BC – 45AD) situated in Credenhill Park Wood. The hill fort was then occupied by the Romans between 47AD – 410AD and close to this was the Roman Town of Magnis. More recently RAF Hereford were based at Credenhill and the area was used to store munitions during the War. Post war the residential houses that you see today were built and the SAS regiment moved into the old RAF site.